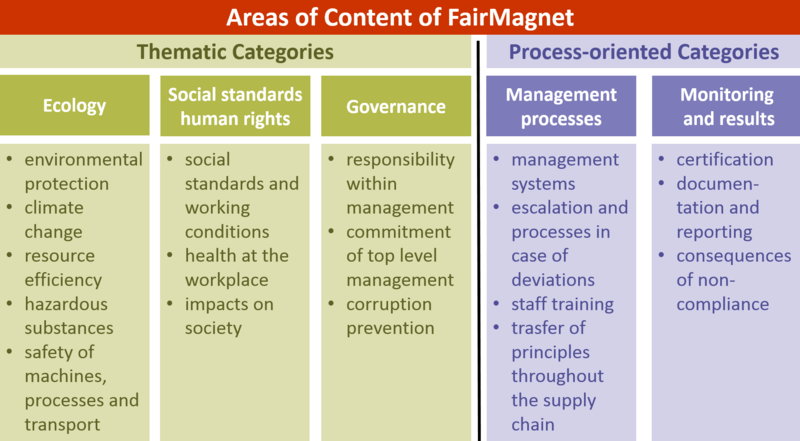 What strategy can we use to fulfil the mission statement and the principles of FairMagnet? How can we contribute to sustainability in the supply chain of raw magnets? Which confidence-building measures must be taken to intensify relationship between Chinese raw magnet producers and German raw magnet importers? What works well and what should be improved? 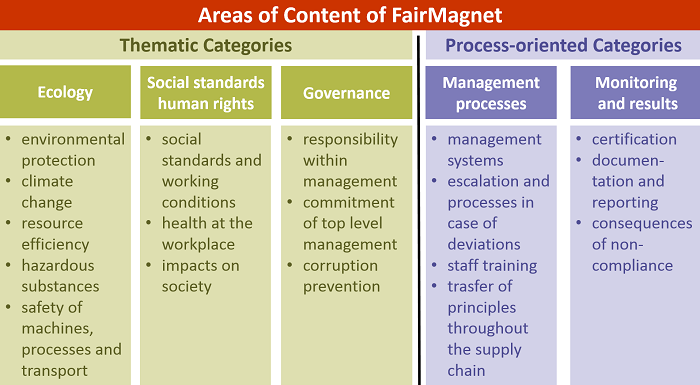 FairMagnet develops by the effective cooperation of its members and is subject to a continuous improvement process. The associated individual implementation steps are explained in detail under the menu item Certification. For the implementation of the project activities, funds will be provided from a Revolving Fund, which is depended on sales and is set up for each supplier, in order to create an incentive system for change and to maximise their impact.